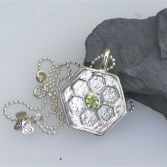 Pretty Hexagon Pendant with Gemstone and sterling silver Little Bee charm has been handcrafted by me in the studio and is exclusive to JBJ it is made of solid sterling silver and has full UK hallmarks. 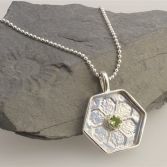 It can set with a different gemstones, it is shown in the images with a beautiful Peridot. 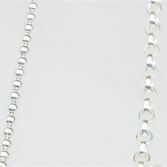 Please use the drop down option to select gemstones. 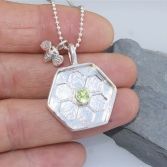 The pendant can be set with a semi precious gemstone of your choice which measures 5.0mm in diameter if the gemstone you require is not listed please do message me as i can always try and source one. The Little Bee charm can be easily removed so can be worn with or without it. 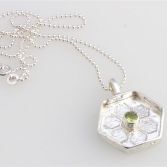 The Hexagon Pendant with Gemstone is hung on a contemporary 2.0mm solid sterling silver ball or a Belcher chain which are available in three lengths 16 inch, 18 inch or 20 inch, please use the drop down option below to select chain length. 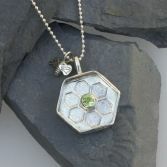 Your Hexagon Pendant with Gemstone will be presented to you in one of my signature gift boxes and posted via Royal Mail 1st Class delivery (signed for) to any UK address free of charge. 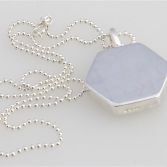 Gemstone Options: Golden CitrineGreen PeridotLight AmethystRed African Garnet.Rhodolite Garnet (Deep Pink)Sky Blue TopazSmokey QuartzWould Like Different Gemstone Email Me.